The fabric is a cotton, with a bit of spandex in this BRIGHT coral color, I just love it. The collar is in a white cotton pique, with some covered buttons also in white. This pattern is an excellent reprint. It has french darts in the front, and one piece facing. I LOVE one piece facings. It makes such a clean finish. This dress was so easy to put together, It took me a little more than a morning. Good thing too because I have to teach this class to teenagers this summer! It's lovely! I love that amazing orange colour, too! Dang! Looking at the envelope, I wouldn't have guessed that this pattern would look good on a lady with curves... but you look AMAZING. Love that color! Wowza! Look at you! You really transformed this dress. You got such a perfect fit! I love it! Dang, girl! You nailed the fit on this dress. The color is incredible. I'm loving shades of coral/orange for spring right now. Great work. That is amazing, love the colour and beautiful fit. You Look MAHHVELOUSS!!!!! Very pretty dress...nice color. lovely! what a great fit! Looks great!!! Love the color! So cute and hot at the same time^^ Love your take on this dress! Fabulous! Proving once again that the 60s fashions are fun and flattering!!! I want to see more of this style on you. Mad Men is entering the really mod era of the 60s so you are right on girl!!! Super cute, love the color. I taught myself via the internet! I just started a fabricland...follow us on social media and take a peek! Awesome! And in my favorite color! Putting this one on my "to buy" list! Please can you tell me if you made any alterations to the pattern for it to fit so well?! no changes! I think it must be the stretch fabric that makes it work so well. Awesome fit, amazing color! You go(go) girl! I think it might be difficult because the arm holes are sortof far in and because of the one piece facing. You will have to change the facing and then you can do it! good luck, can't wait to see! This dress is perfect on you! I added the pattern to my to-buy list as soon as a saw it had french darts. It's such a great shape! I'm lovin' the pumped-up-apricot colour on you, and seam binding? Drool. Looks great! 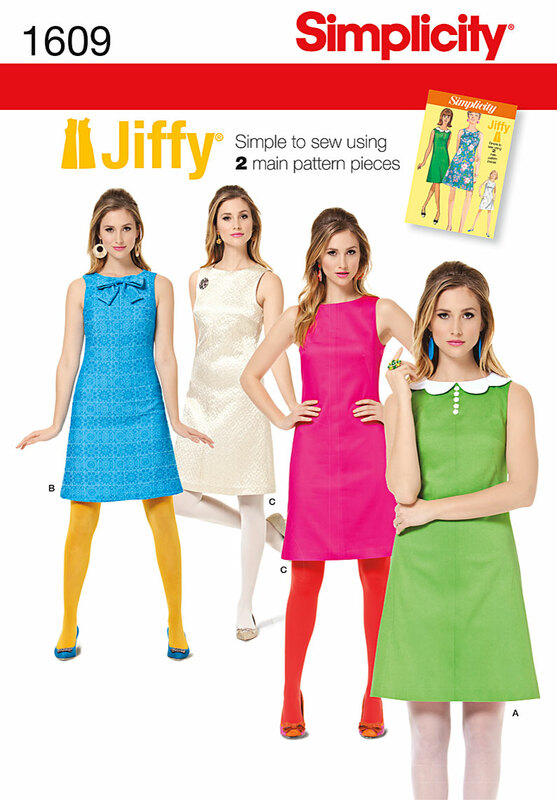 I just bought this pattern today and I didn't know about the one piece facing....love...I can't wait to make it. You did a fantastic job! Totally gorgeous love the colour and the features! Looks fantastic on you! You are that dress' best friend. Wow, I really love this dress! I definitely need to keep an eye out for this pattern next time I'm at the fabric store! What a fabulous looking dress! You look gorgeous! I just love this on you, so fitted! You look a million bucks!